Get ready for summer! 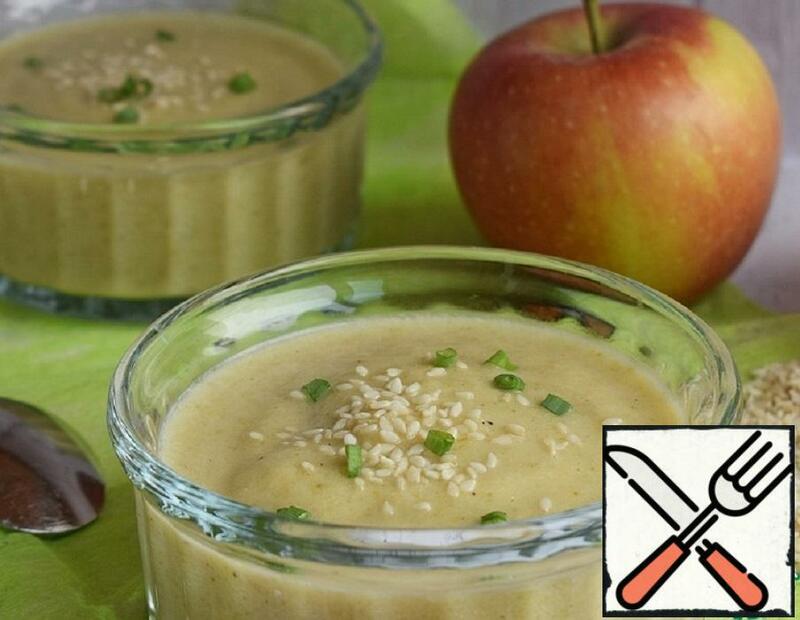 Offer to cook a very easy and delicious soup-puree of broccoli and Apple. Diet can be delicious! 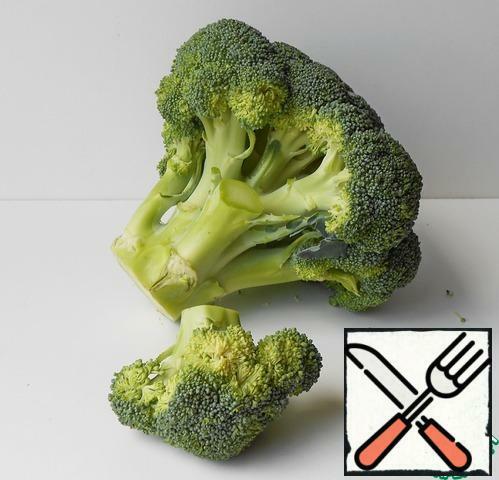 Broccoli disassemble on inflorescences, cut. 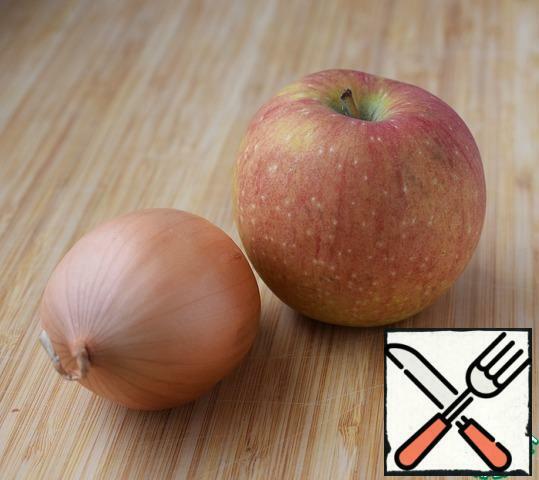 Peel and chop the onion and garlic clove. Have Apple to remove core and the skin, cut into. In a saucepan with a thick bottom fry onions until transparent over medium heat, add garlic, broccoli. 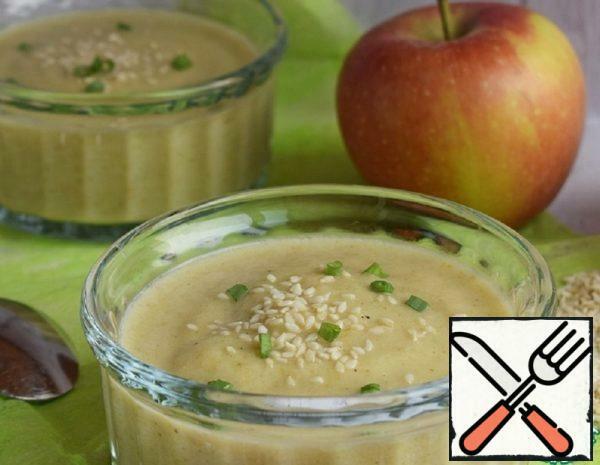 After 1-2 minutes, add the chopped Apple. 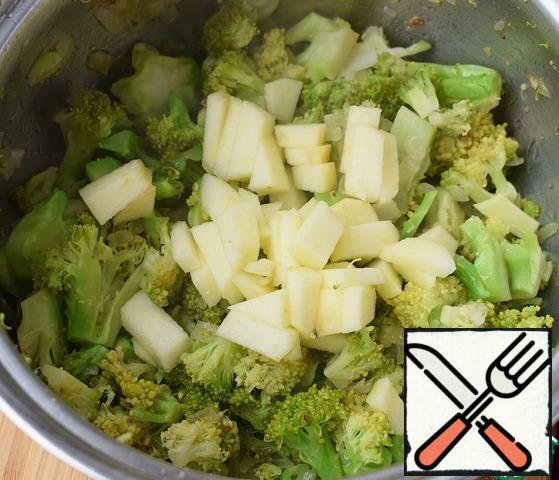 Simmer for another 1-2 minutes, then pour water (or broth) and cook until cooked broccoli. Remove from heat. Puree with a blender, add milk (or low-fat cream), salt, black pepper. 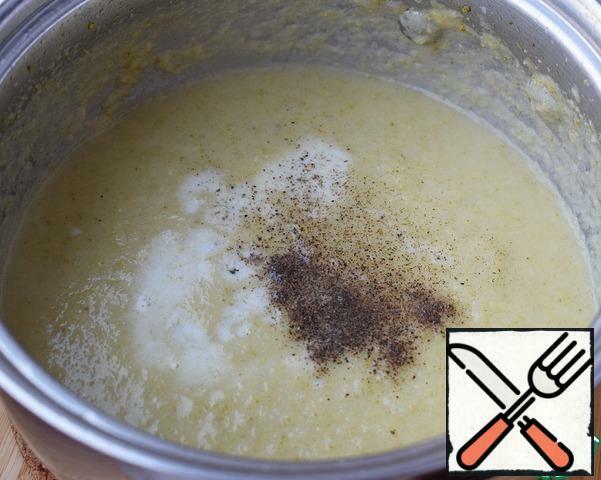 Return the pan to the stove, warm the soup, but do not boil. 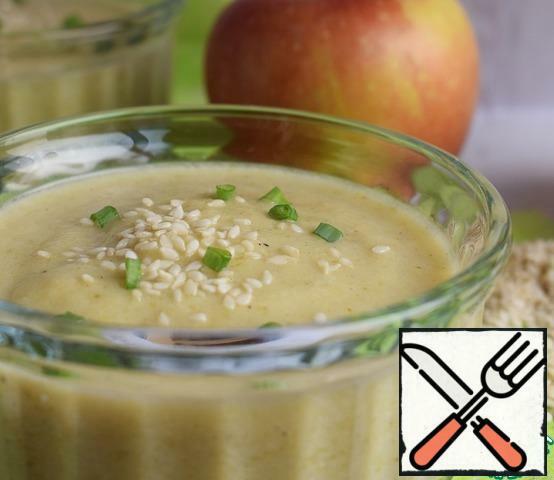 Serve sprinkled with sesame and herbs. Or crackers, if you prefer))) Bon appetit!